Wander project Annapolis at night! 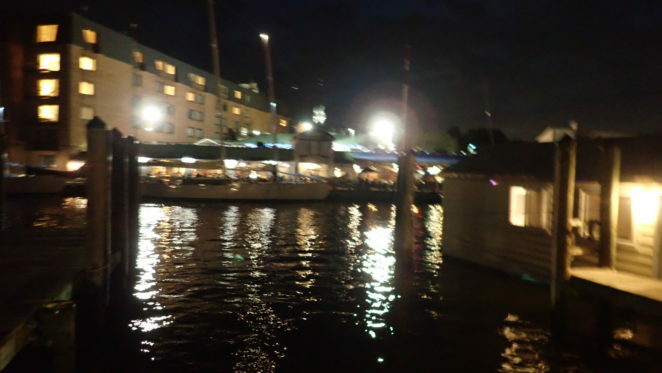 Heading from the inner harbor of Annapolis MD at night. I took a lot of o pictures over the weekend. I did the math the other day at my current rate of share ~120 per week and our current rate of production (around 120 per week) of new pictures I will never catch up. I am still sitting on more than 30,000 unshared pictures that I didn’t take and another problem 100,000 pictures I did take that haven’t been shared. In part because there is an eight meg upload limit per image on Virily. Many of the pictures taken with my Canon, just are too big. Many of the scans of old slides are also too big to share. We had a blast walking along the inner harbor. It, the inner harbor of Annapolis is split into two distinct areas. One area is called Ego Alley, that is where the 70, 80 foot and larger yachts are parked. They, the larger yachts are fun to look at, but not something that interests my wife and I. We are more intrigued by the smaller boats. That said, on the other side of the inner harbor, it is more of a party area. Navy was down in Texas playing SMU, or the crowds would have been filled with many more people in dress whites. The sky was overcast, so it was darker at 8 pm than it would normally be. One of the long-running conversations in our relationship has been the concept of dates. What counts as a date and what doesn’t count as a date? Starbucks breakfast and coffee far from home, does not count as a date. But breakfast at the Village Deli in Bloomington Indiana does count. I suspect there may be some evolution of rules going on, but I am not sure. After dinner, we wandered around Annapolis a bit. We were both tired; it is a long week of working leading to a long weekend of running around so that we can go back to work and start the cycle over again. Dinner, at Buddy’s crab shack, was fun. Sometimes my wife and I order what we call a shared dinner. Basically what that means is we order appetizers and enjoy the time. It is something we have done for many years. In particular, this time we got Buddy’s crab dip (oh my that is sinful), BBQ wings and the coconut shrimp. All three paired with a hard cider for my wife and a Yuengling draft for me. The food was fantastic (we’ve been to Buddy’s before). I love the restaurant it is a festive place to hang out! Then we wandered back to the water taxi. A bumpy ride back to the marina but I was glad we hadn’t taken our boat. While I am comfortable piloting the boat, I am not as comfortable at night. That is a next year goal, to take the boat out at night. We arrived back at the Marina with no issues. Our Captain was great, and we had a wonderful conversation as we traversed the space between the inner harbor and back creek. The paint did a great job of navigating the swells so that we didn’t rock back and forth as much. It was really fun coming into the back creek with all the lights on. As we landed on the dock to head to our boat, we heard the sounds of a wedding reception that was being held at the next marina down. It had been a day, we decided to head to the restroom, and then we would sit out on the back of the boat for a relaxing evening. Sadly in the process of shutting the boat door, we accidentally locked the door. With the keys inside the cabin of the boat. We had to call a locksmith at 9 o’clock at night to come and open the boat door. The locksmith wasn’t going to be able to come for more than an hour in the end. We ended up sitting on the boat having a wonderful conversation and relaxing until 1030 at night. My only complaint about the Locksmith was the amount of money they charged to open the door. Because they had to “pick” the lock they charged was 200 bucks. That was a horrible fee, and we are never going to use that company again. Oh well, you live and learn, and beggars can’t be choosers. The water going from Back Creek to the inner harbor was choppy. The first thing I did was check for life jackets. Based on what happened with the duck in Branson MI earlier this year, I wanted to make sure that not only did I know where they were, but that I could get to them. The issue for me initially as the realization that there were three kids on board as well. I am a good swimmer, my wife is a good swimmer, but the minute you add kids to a situation it changes things. The water taxi doesn’t have to follow the channel out and around to get into Annapolis inner harbor. We did on Saturday, but that was more the Captain making sure the ride wasn’t horrible. Like I said the water was pretty rough. One of the things I noted on the way was the lack of boats out and about. It is getting close to the time of year when boats begin to head towards land (winterization). There will be fewer and fewer boats in the water starting the first week of September and rolling all the way through November. There are people that live on their boats; they have them in the water year round. They often don’t take their boats out as much during the year. 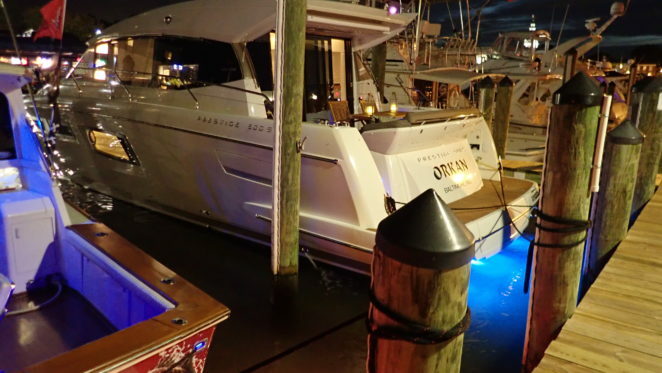 Instead of enjoying the boating life without ever leaving the docks! We were cruising a path we have taken many times. This was the first time we went from Back Creek to Annapolis when we weren’t on our boat while making the trip. The water taxies are owned by the cruise company (Watermark) we’ve done their cruises (very nice). That means that the water taxi’s actually moor/dock/arrive in the old City Harbor of Annapolis. What once was a thriving shipping hub. Before the advent of larger ships, Annapolis was one of the business ports in North America. It gave you access to Baltimore, DC and the area around those two great cities. You could come in fully loaded with goods, and leave fully loaded with other goods! 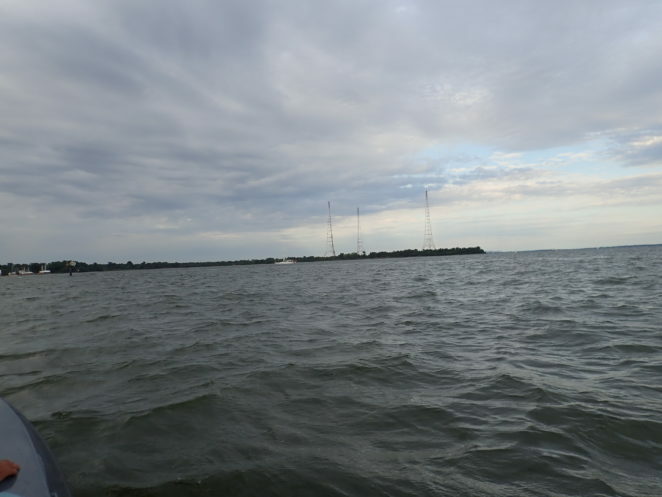 You had access to the entire Chesapeake basin, so a whole lot of different stuff produced in that area. The wooden ships didn’t displace as much water as the larger container ships do. The inner harbor of Annapolis is now devoted to personal and pleasure craft. Larger vessels can’t moor because it is too shallow. Yesterday (Saturday, September 22) was a day. It was meant to be a delightful chance for the two of us (my wife and I) to get away from the house, from DC and just relax by spending the afternoon in Annapolis and the night on the boat. The day began with planning and of course getting everything ready. We pulled out of the driveway around 130 pm. Traffic was really heavy on the 95/405 interchange until we cleaned, that mess and go on US 50. 50 heads from Virginia all the way across Maryland and is the easy route to Annapolis. As we got on 50, I decided to move the boat keys from my pocket to the drink holder. Sadly, there were no keys in my pocket. So after traveling for an hour, we turned around and headed home. The keys were sitting, where they always were and well shame on me for that. Traffic was still bad as we headed towards US 50. What is normally a 1: 10-minute trip was 1:30 and frustrating. But once we got to 50, we were cruising along. I did, check my pocket again to make sure I had the keys. I did, by the way, the second time. We were making good time, while we had planned on boarding the water taxi at 4 pm we changed that because of the double trip and traffic to 5 pm. Everything was finally going our way. We got on the road that leads you from 50 to Bembe Beach road. Bembe Beach is the road that gets you to where our marina is on Back Creek. Pictures for this are here. It was a day of bad luck. We got to within 4 miles of the marina and in front of us was a line of cars. The road (both ways) was closed. There had been a huge accident with emergency vehicles and lots of backed up traffic. We were so close to the boat, so close to the water taxi and so far away at the same time. It was 5:00 and we had 15 minutes. So we panicked dived off onto a side street and waited. We ended up calling the water taxi, and they said they would swing by after picking up another group. That brought us the 24 minutes we needed to get through the traffic and make it to the marina. The last couple of pictures are of the folks on the water taxi, and we headed off to Annapolis. Finally, something was going our way, yesterday! 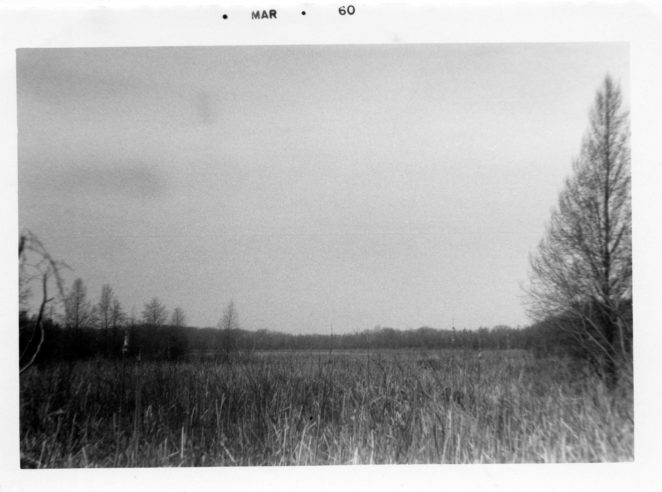 Wander project images of yesterday! In the early 70’s my father took a job with UNESCO. In so doing we moved to Thailand. Bangkok Thailand to be specific. It meant we were giving up television, friends and our dog at that time. Yes, we would be coming back, but at the time we would be giving up a lot. My parents researched schools in Bangkok and based on the Drug problems at the international school they enrolled me in Bangkok Patana School. BPS was an English school. But, that is a story for another day. Today we are wandering old pictures of the family. 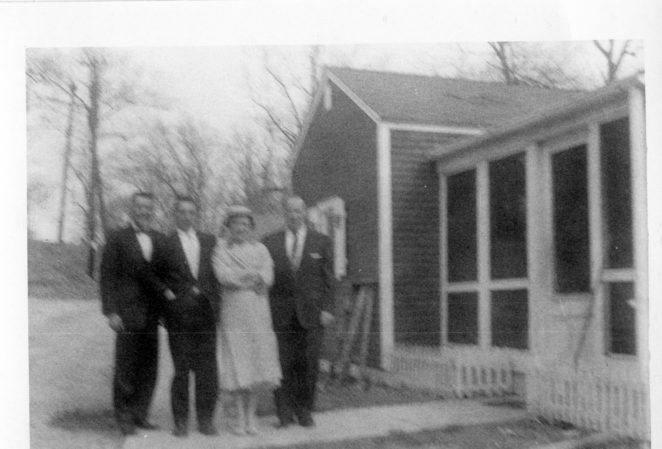 The first few black and white pictures are of my mother, her brother and my grandparents outside the Lake House in Cambridge Wisconsin. The rest of the wander as well the story of something else. In that year in Thailand, I was reading like a manic; I started reading more. I had, thanks to my love of NASA, gotten interested in Science Fiction. I read in the first month all the sci-fi books in the BPS library. Suddenly, I was faced with reading academic books like Gibbons Rise and Fall of the Roman Empire (which sadly I did end up reading). I went to the librarian, a normally very scary English Woman that never talked to anyone. I was terrified that she was going to yell at me (she often yelled at children in “her” library for making noise. Sometimes just walking across the wooden floor was considered noise. Anyway, she was sitting at her desk, and I walked up. I was so scared I didn’t say anything she was reading. I guess I made a shadow or something because she looked up at me. What happened next taught me two important lessons in life. The first is never assume. I assumed the librarian was a mean person because she was always yelling about being quiet. That was wrong of me then and something I work hard not to do now. The second was that there was so much more than Science Fiction. The librarian smiled at me and stood up. She was right. She took me to the dark corner of the library (it was dark because that was the only way to keep the heat down). “You might like these books.” She pointed to four books, The Hobbit, The Fellowship of the Ring, The Two Towers, and finally the Return of the king. Two things happened when I picked up the Hobbit. The first was a lifelong journey and love for the works of JRR Tolkien. The second was a friendship. Every day when I wandered into the library, the librarian would ask me what I read in the Hobbit (and later the other books as well). We would spend 5-10 minutes or more of my library time talking about the wonderful world created by Tolkien. So today, international Hobbit Day, I want to thank the Library from BPS. I suspect she is no longer with us. But her ideas, thoughts, and concepts from the Hobbit are with me forever. Celebrate Bilbo and Frodo’s birthday today! Lots of interesting pictures chosen at random (many won’t upload) from the family history project. 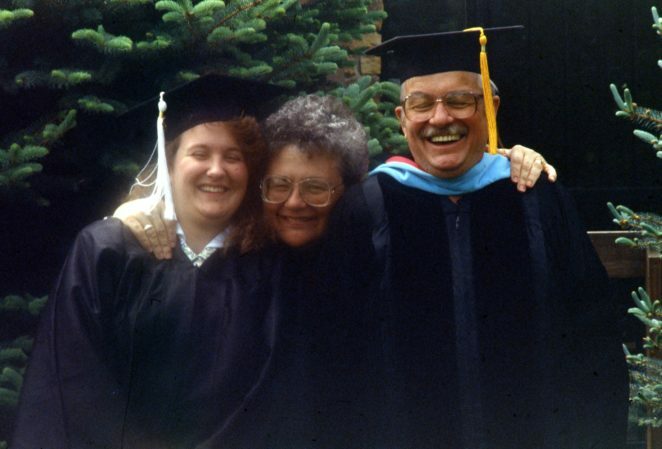 The first couple are of my sister’s (youngest) graduation from Indiana University. The rest are of the kids from various events. You’ll notice all of the pictures seem to have a frame. They were taken from a scrapbook that my wife made of the kids when they were little. Well, when she made the scrapbook, they were little. I guess that is a book for that moment. But that is the perfect lead-in for a partial retraction from what I posted yesterday. As was pointed out to me in comments, there are memories we don’t share. Each of us maintains a store of memories that are never shared. I have many of those myself. The reality of memories is more than the memories we share and memories we don’t share. The era of Twitter, Pinterest, Facebook, and other sites has created an artificial sharing reality. There are things we don’t share. Those deeply personal moments that unshared remain so, unshared. We don’t trot them out like show ponies at the circus. We keep them inside and share them infrequently. I posted yesterday that unshared memories are less and I didn’t mean it that way. What I meant to say was that the commonly shared memories are the ones that end up biased when we are the third or fourth person to reach out to publish or talk about and create an oral history of an event. Not sure that makes sense, but it is as much that moments have two states. The first is the unshared state. Some memories, feelings, moments will never leave that state. Some memories that do leave that state, however, have to be shared fairly. All of us have a bias, and that bias makes our memories imperfect. Sharing out memories is critical, but we also need to point out our bias. My apologies for conveying a biased message yesterday. It was not my intent. It was simply an application of the process my mother always uses “it’s your memory.” When you speak as though what you are saying is fact, sometimes it comes across wrong. For example what I said yesterday wasn’t meant the way it came out. There are memories we don’t share. Those are personal and should only be shared when we feel safe enough to do so. Once, you connect and share that memory with another person, remember to declare your own bias first! Wander project The quilts of my mother! My mother loves to say “It’s your memory.” The other phrase she loves to say other than turkey buzzard (that one is normally applied to another person or driver with you are an in front of it) is My pen, Rai. I suspect I’ve spelled it incorrectly as it is a phrase in Thai. It means loosely “it doesn’t matter.” That is the reality of memories. Those that are shared or common and the perception of what happened, my pen rai. They don’t matter now that they are in the past. What matters is truly the now. Memories not written down all those years ago, are suspect no matter who you are. No matter your recollection of the events, it is suspect. If there isn’t a video and there isn’t a picture, your memory is colored by time and bias. 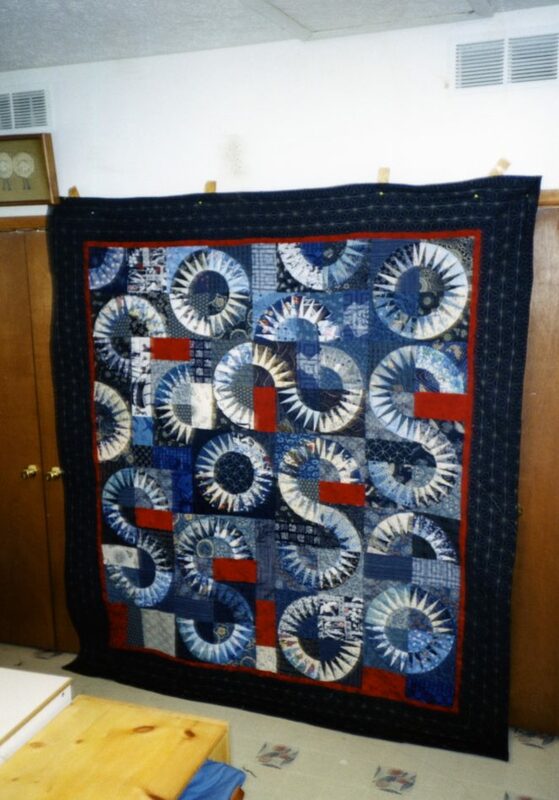 That said, the pictures shared today are of some of my mother’s quilts. If you love quilts, you can find a number of the quilts my mother and her partners sell here. I would say I don’t sleep without one, but you would expect that. As I strive ever to be a dutiful son, it is important to support your parents. I will, however, share a different story about quilts. First off, don’t ask my mother to make a quilt you can change the oil of your car on. Having asked that question, she doesn’t like that. So I do not have a quilt to put on the ground for when I am changing the oil in my car. Of course, the other side of that argument is I haven’t changed the oil in my car in many many years. My children sleep with the quilts. I remember there was a time when we would take them with us on vacation. Every driving event that was longer than two hours, the kids had one of Grandma’s quilts in the car with them. When my wife finished her master’s degree, my mother made her a specifically quilt (with a handwritten message on the back)! Each child got a quilt they started as youngsters when they graduated high school. Each quilt is magical. I have three quilts that are decorative hanging in the house that was made just for me. One is made of the this worn by the grandfather and father and includes their pictures. It hangs in the master bedroom of our house. The other two are sports-themed; one is a map of Indiana with Bloomington (home of IU!) pointed out. The other is Cubs quilt. Mom made that one for me after they won the world series in 2017. But I treasure every quilt mom has made. Those three just stand out as very special for me!